Are you wrestling with questions surrounding your gender that just don’t seem to go away? Do you want answers to questions about your gender identity, but aren’t sure how to get started? In this groundbreaking guide, Dara Hoffman-Fox, LPC—accomplished gender therapist and thought leader whose articles, blogs, and videos have empowered thousands worldwide—helps you navigate your journey of self-discovery in three approachable stages: preparation, reflection, and exploration. Dara Hoffman-Fox LPC is a queer-identified gender therapist, writer, educator, and transgender rights advocate. Frequently serving as a subject-matter expert on transgender issues for the media, Dara is a prolific thought leader on the topic of gender identity whose articles and videos have empowered thousands worldwide. 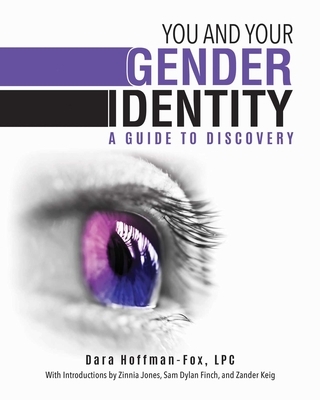 Dara provides educational resources through a blog, YouTube channel, social media networks, trainings and presentations, and her first publication: You and Your Gender Identity: A Guide to Discovery. ZINNIA JONES is a trans feminist writer, video blogger, and activist based in Florida. Her web series, “ Gender Analysis,” offers a research-oriented and experience-based inside look at issues of gender in society and their impact on trans people. She focuses on topics including community outreach, gender self-realization, healthcare, and the history of trans science. You can find her videos, publications, and media appearances at zinniajones.com. SAM DYLAN FINCH is a transgender writer, activist, and editor living in the San Francisco Bay Area. Sam is the founder of Let’ s Queer Things Up!, a blog examining the intersections of mental health and queerness; he is also an editor at the magazine Everyday Feminism. He is best known for his powerful narratives about his life as genderqueer and bipolar. Find him on social media @SamDylanFinch, or on his website, samdylanfinch.com. ZANDER KEIG, LCSW is co-editor of the 2011 Lambda Literary Transgender Non-fiction Finalist Letters for My Brothers: Transitional Wisdom in Retrospect, co-editor of the 2015 Lambda Literary Transgender Nonfiction Nominee Manning Up: Transsexual Men on Finding Brotherhood, Family & Themselves, co-author of “ Transgender Veterans Are Inadequately Understood by Health Care Providers,” and is featured in the 2014 award-winning illustrated documentary “ Zanderology.” Zander works as a US Navy Healthcare social worker with active duty military personnel in the San Diego area. Zander’ s website can be found at www.zanderkeig.net.